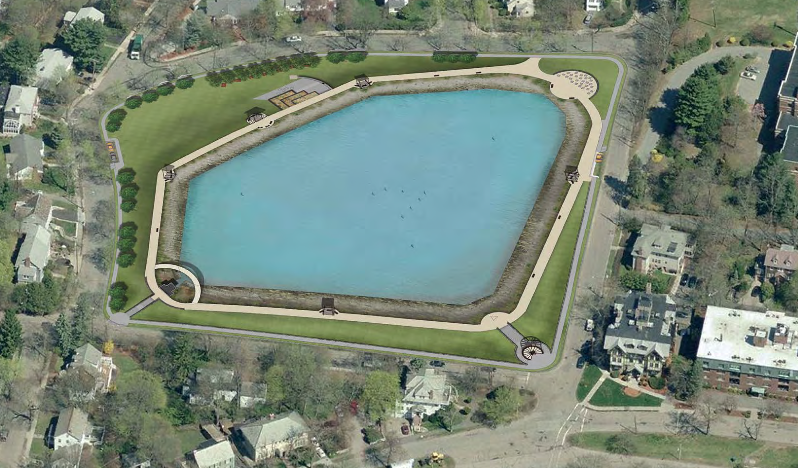 On Monday, May 19th at 7 pm, the Waban Hill Reservoir Advisory Committee will present the WHR Acquisition proposal to the Newton Parks & Recreation Commission in Room 209 of City Hall. See meeting agenda below. I want to bring to your attention something that may greatly enhance our open space needs in Chestnut Hill. The Waban Hill Reservoir (WHR) is a 5 acre site adjacent to Commonwealth Ave at the top of Heartbreak Hill along Manet Road or Woodlawn Drive. This parcel of land was recently listed as surplus property by the MWRA and has long been a potential target for acquisition by the City. The potential purchase of the WHR by the City of Newton is supported by Mayor Setti Warren and our Ward 7 Aldermen. Presently, a piece of legislation, H.3669 authorizing the Commonwealth to convey this parcel to the City of Newton was voted favorably out of Committee and is presently before the House of Representative’s Committee on Ways & Means. It is my understanding that this legislation will continue to be favorably moved through the MA Legislature and signed by the Governor. As such, the issue of purchasing this parcel may be before the Board of Aldermen later this winter. 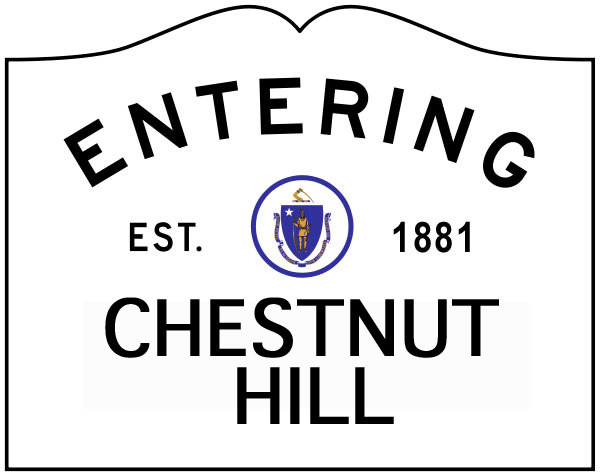 Given the scarcity of open space in Chestnut Hill, and the uniqueness of this parcel at one of the highest hills in Newton with spectacular views of sunrises and sunsets, I support the acquisition of this land by the City. An Advisory Committee met for several months to study the passive and active recreational uses that this site could bring to the City of Newton and concluded that this unique natural resource could provide much enjoyment, open space and recreational needs to our neighborhood and to all residents of Newton. Last week, a first meeting was held by a group now known as the “Friends of Waban Hill Reservoir”. It was strongly suggested by Aldermen Baker and Laredo that residents demonstrate their support and commitment to the purchase of the WHR through “Letters of Support” and the “Collection of Pledges” to show a willingness to contribute to the project (defray costs of benches, trees, playground, etc). NO money is being collected now. This is just a demonstration to our elected officials that a significant number of Newton residents care about the acquisition of this parcel for open space for future generations of Newton residents. As such, if you would like to see this parcel of land preserved and purchased by the City, please join me and sign the attached Waban Hill reservoir pledge letter, and return it to my attention at gavrislaw@comcast.net or mail to 21 Monadnock Road, Chestnut Hill 02467. I hope you will join me in supporting this endeavor. If you have any questions, please do not hesitate to email or call me. Want to know more about the proposed uses of the Waban Hill Reservior? Check the City of Newton Community Preservation Plan page here. View a presentation by the Waban Hill Reservior Advisory Group here. As the February 11 meeting of the Waban Hill Reservoir Advisory Group approaches, anyone interested in learning more about the site can visit the City of Newton website to view the planning documents for the property as well as meeting history. Tentative plans for the site might include leveling the higher edges to fill the interior so the space could be used for a park, open space, a skating rink, tennis and soccer courts, an ampitheater, among others and the Advisory Board is open to suggestions. You can send yours to Advisory Board Committee Member Ms. Madelyn Bell at madelynetc@yahoo.com and/or attend the open meeting on February 11.